We would love to hear from you? Looking for additional information? Want to let us know how we’re doing? Then contact us! 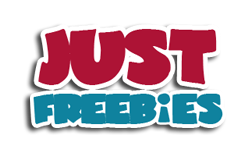 Justfreebies.com would love to hear from you. Send us your questions, feedback, or any comments you may have. We strive to reply to your messages as soon as possible. Interested in Working With Justfreebies.com? Are you interested in working with our team? If so, fill up the form below, and we will gladly get in touch with you.